From 17-19 June 2016, Secret Solstice Festival makes a return to Iceland’s capital, Reykjavík, for its third annual edition. For three days, and 72 hours of consecutive daylight, possibly some of music’s finest talents will take over the world’s most northerly capital city, for what some critics have apparently dubbed “the most unique festival on Earth”. Using Iceland’s incredible landscapes, volcanic springs and glaciers as fitting backdrops to some great music from Iceland and abroad, the natural scenery of this Scandinavian island should be an obvious sell for any adventurous festival goer seeking a special party destination. For a glimpse of what’s in store next June, check out Secret Solstice Festival’s Official 2015 After-movie below. In addition to the main event, the festival will once again be throwing some special parties, including the return of the year's standout party. 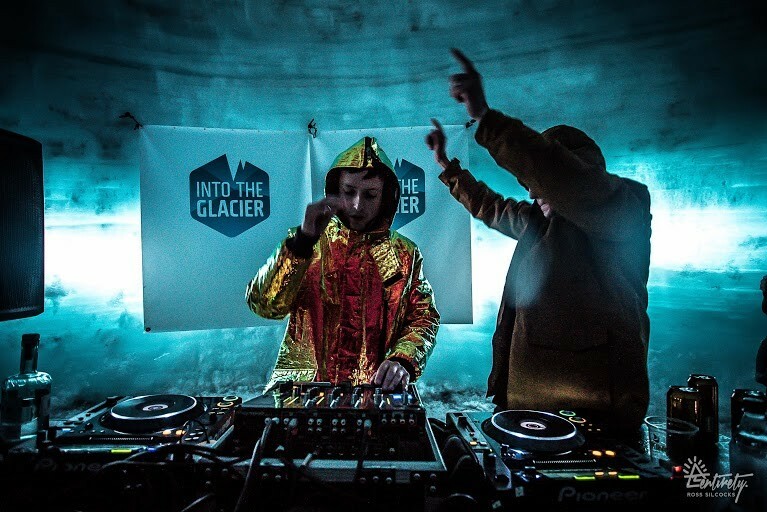 Dubbed “the world’s first party inside a glacier” Secret Solstice prepares to take over Langjökull (Europe’s second largest glacier) once again in 2016, for a series of super exclusive ‘once in a lifetime’ shows, giving festival-goers the chance to party inside a mile-long tunnel carved from ice thousands of years old. Other parties include the likes of “Midnight Sun” where guests will be able to head out into the Atlantic Ocean aboard a boat to continue partying well after midnight, enjoying eclectic DJ sets in a volcano-powered geothermal pool.